PMC stands for Precision Made Cartridges. Since the company’s founding in 1968, it has become on one of the world's largest ammo manufacturers. Headquartered in SOuth Korea, PMC manufactures all their own components from raw materials. This gives the company greater control over every step in the supply chain. They even manufacture their own brass rolls from which their casings are punched. With PMC you can feel confident that every part of the manufacturing process is held to the highest standard possible. 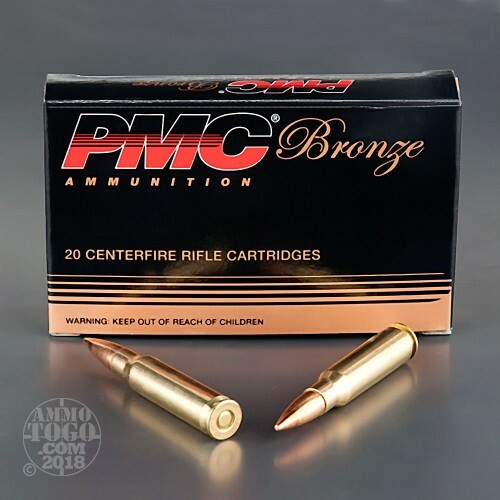 This package contains 20 rounds of PMC Bronze .308 Winchester (7.62 NATO) ammunition. Each round is loaded with a 147 grain full metal jacket boat tail projectile. 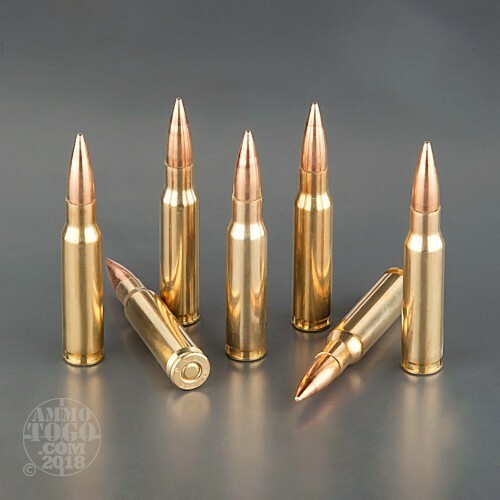 Leaving the muzzle at a velocity of 2780 feet per second with 2522 foot pounds of energy, these rounds are ideal for target shooting and other range practice. This new production ammunition is non-corrosive and boxer primed. 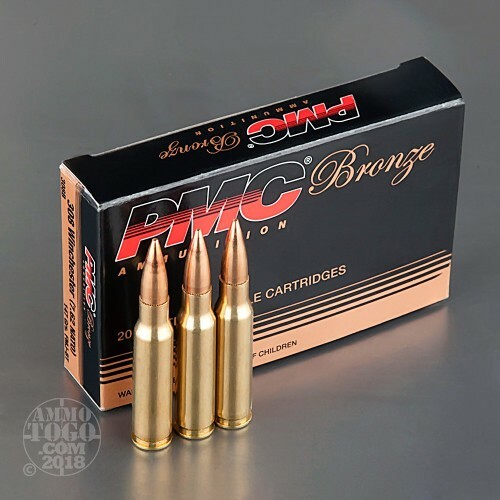 PMC Bronze features brand new virgin brass casings suitable for reloading. 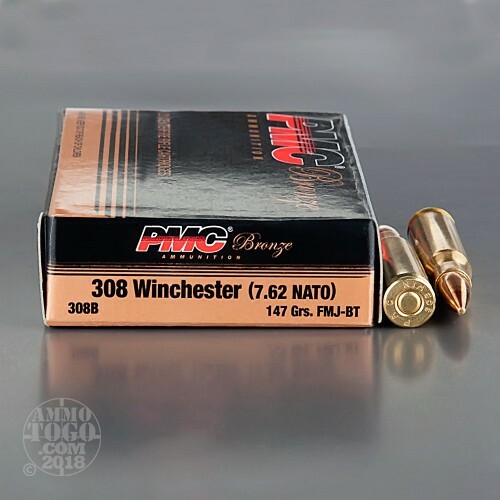 Surprisingly affordable, these loads are perfect for high-volume shooting, offering economy without compromising downrange accuracy and performance. This is great practice ammo at a very good price. Shoots flawlessly and replicates my boat tail hunting ammo perfectly.